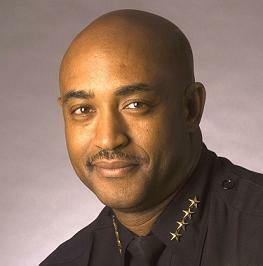 Oakland’s police chief Anthony Batts has announced that Oakland Police will not responded to 44 different crimes if planned layoffs occur at midnight. It was useful for Batts to announce the categories in advance for criminals to chose from a criminal dim sum list of free crimes including grand theft, burglary, vehicle collision, identity theft and vandalism. If you are the victim of burglary, you will be told to make a report online and not to expect police to respond. That allows ample room for most criminals to plan a life of crime without the risk of police interference. This is the response to the planned layoff of 80 officers. That is roughly one-tenth of the force. As we continue to gush billions in Afghanistan and Iraq, our cities are returning to a state of nature. According to the city of Oakland, each of the 776 police officers currently employed at OPD costs around $188,000 per year. The city council asked OPD officers to pay nine percent of their salary toward their pensions. However, the union would only agree if the city promised no layoffs. The city refused.